Habrahabr » Development » Programming » Charitable action "Give children wings"
Charitable action "Give children wings"
Drones today firmly entered our life. They shoot scenes videobloggers and leading TV channels, use it to monitor animals in hard-to-reach places, and even plan to use it to deliver food (I think everyone remembers the initiative of Amazon). However, as in any field, with the development inevitably comes the complexity of studying all the necessary disciplines, the time of immersion and the acquisition of the necessary skills increases. Not everyone knows, but from 2017 in Russia the profession of the drone operator officially exists. And there are classes in the School of Drones attached to the MAI. 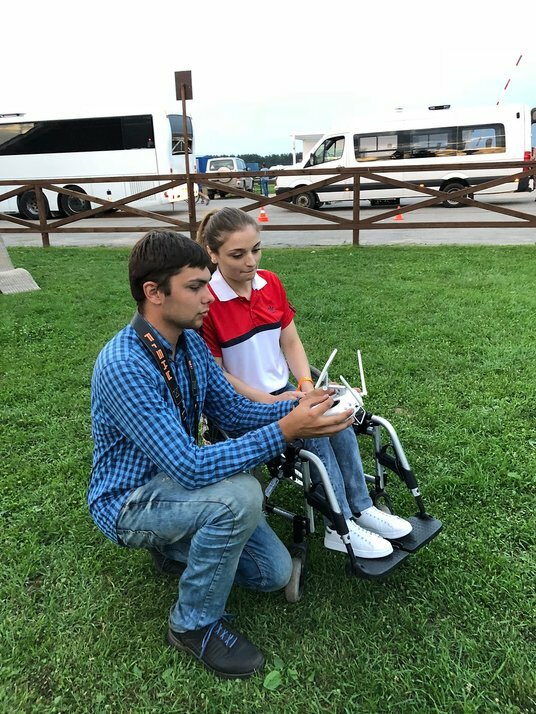 Children - participants and winners of many drone racing competitions, well-trained in their field, conduct lessons on the basics of piloting micro drones, racing copters, etc. And in any case there is a place of charity. On July 2? in the Shilovskiy district of the Ryazan region, the third international parachute festival HANDI FLY International Challenge 2018 was launched at the Krutitsy airport. In the framework of the action "Give children wings", children with disabilities from a local disabled house were invited to attend the training. 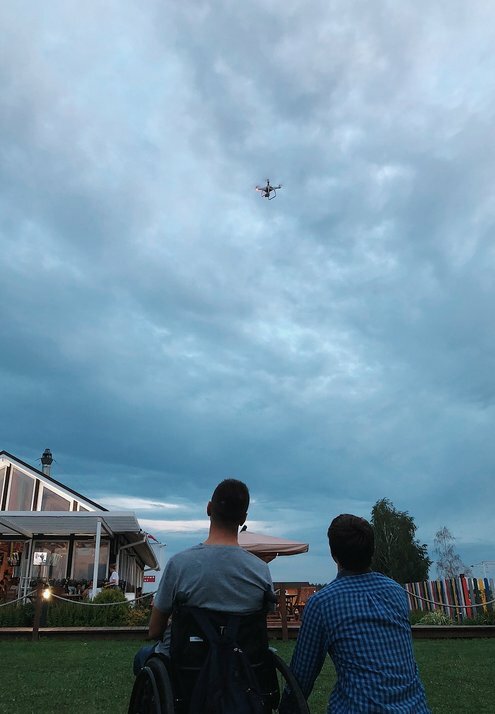 They developed a special tent where everyone could try himself as a pilot and learn how to control the drones from the first person thanks to the cameras installed on the manned units and broadcasting the picture on the glasses with the FPV (first-person-view) view. Children were shown how to pilot quadrocopters. They told about what kind of drones are, how they are arranged. Of course, the obligatory part included the practice of flying on drones. As a result of such activities, small motor skills develop well in children. If we talk about the program, the course involves learning the basics of aerodynamics kvadrokopterov, the basic principles of radio electronics, the assembly of aircraft, their programming and further piloting. Everyone liked it very much. 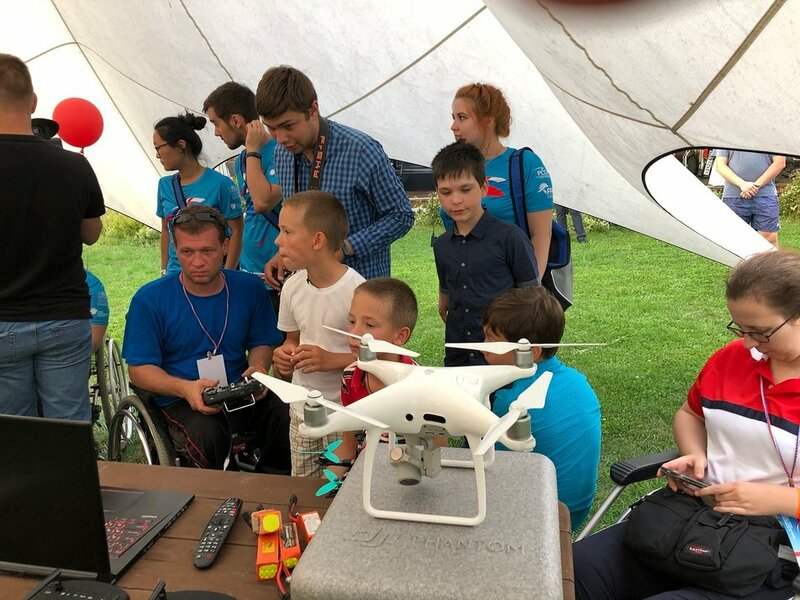 The action took place thanks to the School of Drones attached to the MAI with the support of the government of the Ryazan region and the governor Nikolai Lyubimov. 14/07/2018 Why does my drone need an ND filter?